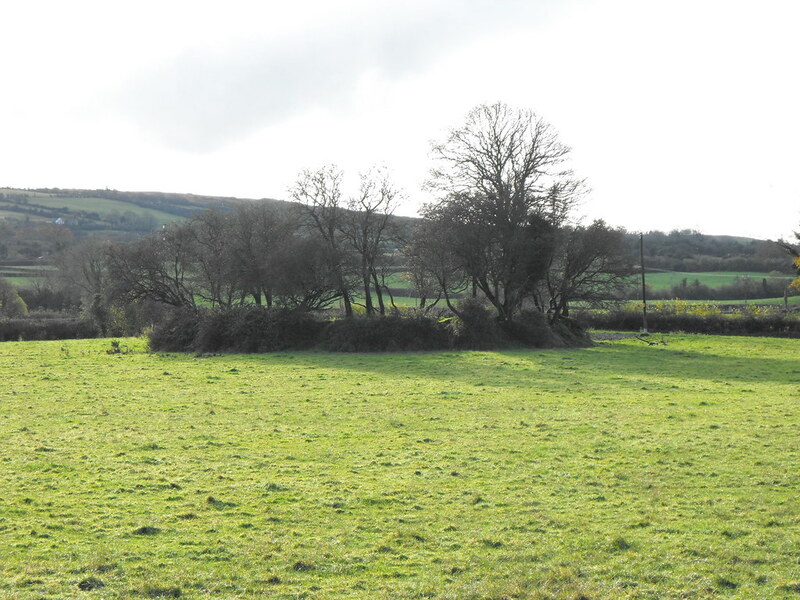 The Standing Stone: Clashagad Upper, Rath, Co. Offaly. Clashagad Upper, Rath, Co. Offaly. Location – On the N7 just E of Dunkerrin OS: S 072 850 (map 59). The rath can be seen from the road. Description and History – This rath is only one among many in this region and I will cover the rest in this area over time. I had not intended to visit this site but happened to see it from the road while passing one day. It is in flat land and is roughly 26m in diameter and has an earthen bank about 0.7m high and 3m wide. There is an external fosse and an entrance to the E.
Difficulty – Easy to find as it can be seen from the road, but the field does get flooded in the bad weather. It was too mucky on the day I was there for me to get close but there is really nothing overly remarkable about this site. Ballynakill, Fortified House, Co. Tipperary.